Where is Pioneer Camp located? Pioneer Camp is located approximately 2.5 hours north of Pearson International Airport, in Port Sydney in Muskoka. We are located halfway between Bracebridge and Huntsville. What do guests do while at Pioneer Camp Outdoor Education & Retreat Centre? Guests will participate in a variety of outdoor education activities and programs while they are here at Pioneer Camp. The activities depend on the selections of group leaders/teachers and the season and can include: Archery, Astronomy, Candle and Soap Making, Canoeing, Challenge Course, Climbing Wall, Cook-Out, GPS, Guided Hike, High Ropes, Lake Study, Low Ropes, Initiative Games, Kayaking, Maple Syrup Production, Mountain Biking, Night Hike, Orienteering, Wetland Discovery, Wilderness Survival, Broomball, Cross-Country Skiing, Quinzee Building, Snowshoeing, Snowshoe Survival, Tubing Physics along with a variety of Evening and Last Day Wide-Games. We would be more than happy to tailor the programming to meet your group’s specific needs. Please contact us to discuss how we can design your group’s program. While at Pioneer Camp, guests participate in daily activities in groups of approximately 15 guests. Each group is led by one of our instructors, and one of your group leaders. Our instructors are well-trained have Standard First Aid and CPR certifications and carry first aid kits with Epi-Pens. Our kitchen serves breakfast, lunch, and supper daily. As well as provide an evening snack. Pioneer Camp is a peanut-aware camp, and, as such, we do not serve foods containing peanuts or other nuts. We also ask that our guests do not bring to camp any foods containing nuts. Our Food Service Staff will work hard at accommodating Special Dietary and Food Allergy Requests. It is the responsibility of the Groups Leadership to provide accurate information by filling out the Food Allergy and Dietary Request Form which can be found in the registration package. Reception at times can be unreliable. Should reception be unavailable, a Pioneer Camp staff member will be able to communicate any emergency messages if you call our general telephone number at 1-800-361-2267 or connect with a staff member on site. Please take a look at a General Packing List as a guideline. We will retain lost and found for two weeks following your stay at Pioneer Camp. If not claimed by then, we will donate appropriate items to a local charity. Calls to the camp regarding lost and found will be welcomed and any found items will be sent C.O.D. (at your expense). Guests are encouraged not to bring valuable clothing or possessions. Pioneer Camp is not responsible for lost, damaged or stolen items. Schools Groups typically arrive around lunch time and eat a bag lunch. Upon arrival, guests settle into rooms and have a welcome talk with our Instructors. That afternoon they participate in two activities, have a little bit of free time, eat supper, participate in an evening activity, eat a snack and then go to bed. Bedtime is up to the school to set. Each full day guests are here, they will participate in much the same schedule, plus the addition of breakfast and two activities in the morning, before a lunch prepared by our kitchen. On the last day, guests have breakfast, clean up and pack up their rooms and belongings, and then participate in a last day activity before having lunch and departing. Retreat Groups typically arrive in the evening just in time for a delicious snack served by Pioneer Camp. Upon arrival guests settle into rooms and have a welcome talk with our Instructors. Each full day guests are here, they will have the option of as much or as little program as their group leaders have decided, plus breakfast, lunch, dinner and snack. The Camp Directors have many years of experience in youth, student and camp ministries. Our Outdoor Education and Retreat team consists of individuals who have specific skills and training in their area of responsibility. InterVarsity Pioneer Camp maintains a general liability policy, which includes all volunteers. 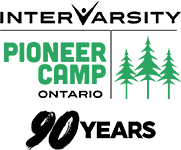 This means that if a volunteer is brought into a non-criminal lawsuit as a result of their activity on behalf of InterVarsity Pioneer Camp, the policy would respond on their behalf. InterVarsity Pioneer Camp maintains Occupational Accident Insurance for all volunteers who are participating in duties on or off the premises that are supervised and sponsored by InterVarsity Pioneer Camp. This also includes travelling to and from volunteer duties. The benefits include excess medical, excess dental, family transportation, funeral expense, home/vehicle adaptation, psychological therapy, rehabilitation/retraining, repatriation. The policy also covers injuries sustained from seat belt, felonious assault and activities which cause paralysis. Note: The policy has limits on the various benefits. Health and Safety are emphasized at all times at Pioneer Camp. We strive to provide safe and enjoyable activities. Pioneer Camp leadership staff are trained in First Aid and CPR. Our Kitchen Supervisors have Food Safety Handlers certificates. Drinking water is lab analyzed regularly for quality. Our facilities are inspected on a regular basis and are up to code. Our staff are all trained in emergency procedures and safety protocols should they need to be implemented. Pioneer Camp cannot guarantee to be a nut/peanut free environment. We do seek to reduce the risk of exposure and therefore do not use or serve peanuts, peanut products or tree nuts on camp property. Nuts or products containing nuts will not be available in our store however, the food we purchase and serve may contain traces of nut products. We do use products that list “may contain traces of peanut products or nuts” in their list of ingredients. Pioneer Camp is a smoke free facility. Smoking is prohibited. Please feel free to ask your group leader any of the additional questions you may have, or call or email us. If your group has scheduled an information night, one of our staff will be available to answer any of the questions that you may have there. We also run summer camp sessions for ages 5-17 (July-August), as well as a Family Camp. Please let us know if you would like more information. We would love to hear from you!